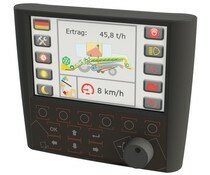 Graf-Syteco is a German producer of text displays and operator terminals with CAN bus and PLC capabilities. 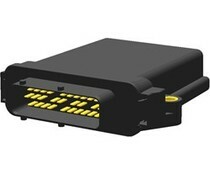 The products all have opportunity for protocol and statistics storage and are ideal for mobile applications, especially in the automotive sector. 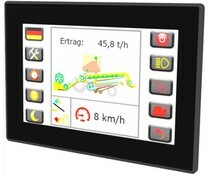 The D3510 is a flexible HMI + PLC with a 7-inch TFT display and 12 function keys for control and visualization of mobile machinery. Programming in C, CoDeSys or ladder. 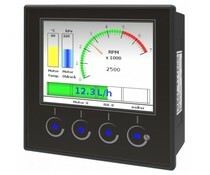 The D2310 is a flexible HMI / operator terminal with 8 backlit buttons and one or two potentiometers. 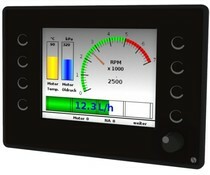 5.7 inch TFT display, digital and analog I / O, Ethernet, USB and CAN bus interface. Programming in C function blocks or Codesys. 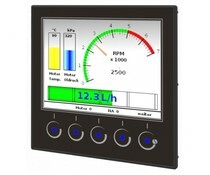 The D1520 is a flexible HMI with internal PLC, a 7 inch TFT touch screen and standard DNV / GL approval. 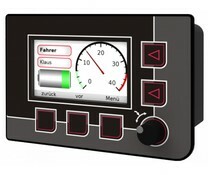 Programming in C, function blocks or via Codesys.